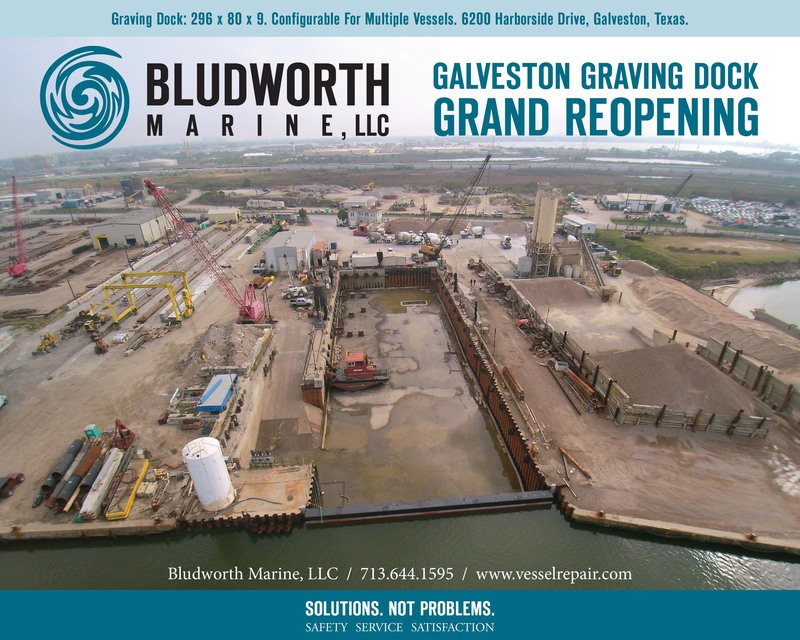 Grand Reopening of the Galveston Graving Dock | Bludworth Marine, L.L.C. Bludworth Marine Galveston is pleased to announce our recently refurbished 296x80ft. graving dock, complete with new rudder pit, and improved state of the art discharge/flood system, is now fully operational. The recent modifications will reduce docking cost through reduced fill and pump-out time.